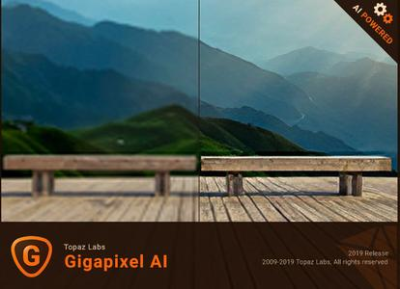 A.I.Gigapixel is the first and only desktop application to use the power of artificial intelligence to enlarge your images while adding natural details for an amazing result. Using deep learning technology, A.
I.Gigapixel can enlarge images and fill in details that other resizing products leave out. These traditional methods produce images that are blurry, unrealistically painterly, and lack the details that are present in real high resolution images. Breathtakingly sharp prints. High-resolution cropping in post-production. iPhone photos that look like they came out of a DSLR. No matter why you're enlarging your photos, you always want the best possible quality for your results. AI Gigapixel is currently the only photo enlargement product available that can actually add detail back to your upscaled photo. Interpolation-based photo enlargement software has been around for decades. Gigapixel's new approach based on machine learning is a giant leap ahead: state-of-the-art "deep learning" methods allow it to enlarge images while actually adding new details. Our proprietary A.I. engine uses your computer's graphics card to process your images quickly. A neural network analyzes thousands of photo pairs to learn how details usually get lost. The algorithm learns to "fill in" information in new images based on what it has learned. effectively adding new detail to your photo.